Product prices and availability are accurate as of 2019-04-21 21:42:19 EDT and are subject to change. Any price and availability information displayed on http://www.amazon.com/ at the time of purchase will apply to the purchase of this product. Brew up enough coffee for the entire camp when you pack the 9 Cup Coleman Coffee Pot. 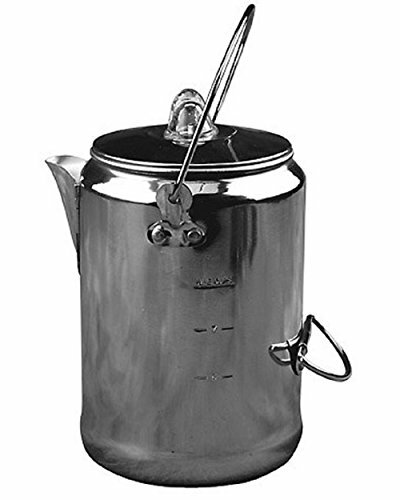 The lightweight, durable percolator includes the base, tube, basket and basket lid-all the equipment you need. Two handles, one on top and another on the side, make pouring safe and easy. When you're all done, the 9 Cup Coleman Coffee Pot wipes down quickly.